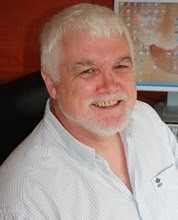 Robert (Bob) Neilson is Managing Editor of Albedo One. He lives in Dublin where he runs a successful retail business in Dublin city. His short fiction has appeared extensively in professional and small press markets and he has had two plays performed on RTE and one on Anna Livia FM. He also presented a radio show on Anna Livia for a year. He has had two short story collections published, Without Honour (1997, Aeon Press) and That’s Entertainment (2007, Elastic Press) as well as several comics and a graphic novel. His non-fiction book on the properties of crystals is a best-seller in the UK and Ireland. See Robert Neilson’s Blog. 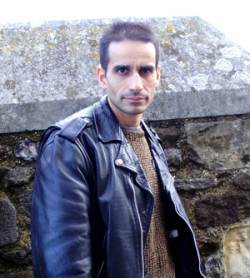 Francis (Frank) Ludlow is Albedo One’s Online Editor and the Director of the International Aeon Award Short Fiction Contest, having joined Albedo One in 2001 as a book reviewer and submissions reader. He is the co-editor with Roelof Goudriaan of Emerald Eye: Best Irish Imaginative Fiction (Aeon Press, 2005), the one existing collection of science fiction, fantasy and horror written by contemporary Irish authors. Wayne J. Harris is a Contributing Editor with Albedo One. Wayne migrated from Australia to the UK in 1984, to see the world, before returning to Australia recently. His career has always been in computing, sometimes in industry and sometimes in academia. He plays jazz saxophone, but he is so mediocre that he has to pay people to get them to listen to him. In 2010 he was awarded his third Dan black belt in Ki Aikido. In 2009 he published his novel Sins of the Angel, which examines the nature of sin, redemption and use of the bible in the context of a racy and at times humorous storyline. Wayne has a constant hunger for new knowledge, understanding and wisdom, reflected by his wide range of reading in philosophy, religion and science. His website can be found at www.waynejharris.com. Juliet E McKenna is a Contributing Editor with Albedo One. Juliet has always been fascinated by myth and history, other worlds and other peoples. After studying classical history and literature at St Hilda’s College, Oxford, she worked in personnel management before a career change to combine book-selling and motherhood. Her first novel, The Thief’s Gamble was published in 1999. The Tales of Einarinn series was followed by The Aldabreshin Compass sequence and her most recent trilogy, The Chronicles of the Lescari Revolution, explores divided states, personal conflict and the rights and responsibilities of power. She is now working on a new fantasy trilogy and a couple of other projects. 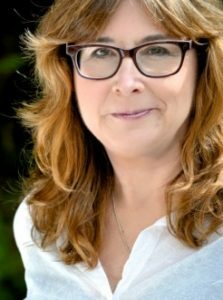 As well as writing assorted short fiction, she teaches creative writing from time to time and writes articles and reviews for online and print magazines. She is one of the leading lights of The Write Fantastic, an authors’ initiative promoting the fantasy genre. She fits in all this around her teenage sons and husband and vice versa. Living in the Cotswolds, England she regularly visits family and friends in Ireland. Visit Juliet E. McKenna’s website. John Adams is a Contributing Editor with Albedo One, and a Reviewer with Schlock! Webzine. You can read John’s short fiction in anthologies from Horrified Press, Lycan Valley Press and many others. A non-binary gendered writer, John has also had fiction published in The Horror Zine, Devolution Z magazine and many other smaller magazines. John’s fantasy novel, Aspatria, and futuristic horror novel, Souls for the Master, are both available on Kindle, each for 99p. Aspatria is also available for free on Smashwords. John lives in rural Northumberland, UK, and is a non-practising solicitor. See more on John’s site. Dev Agarwal is a Contributing Editor with Albedo One. Dev is a science fiction and fantasy writer. 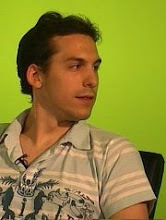 He is a regular panellist at SF Cons and has been a Contributing Editor with Albedo One since 2009. His fiction has appeared online and in print in magazines and anthologies in Britain, Ireland and the US. 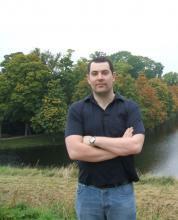 He is also editor for the British Science Fiction Association’s Focus, a magazine for writers of genre fiction. 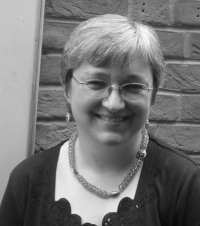 Sharon Kae Reamer is a Contributing Editor with Albedo One. Sharon is an American expat who lives on the outskirts of her adopted city of Cologne, Germany. She does geophysics and sometimes teaches it at the University of Cologne. 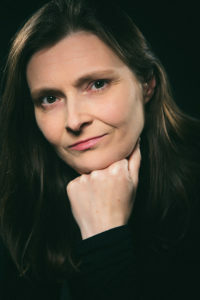 Sharon is the author of the Schattenreich fantasy series. Her passions include reading, gardening, cat watching, staring out the window, and writing. Visit her blog at www.sharonreamerblogspot.com where she talks about the Aeon Award, her own books, and diverse subjects such as Celtic mythology, recipes from the Schattenreich, and seismology. 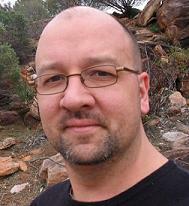 David Conyers, an Australian science fiction author residing in Sydney, is a Contributing Editor with Albedo One. His fiction has appeared in Jupiter, Book of Dark Wisdom, Innsmouth Free Press, Midnight Echo, Antipodean SF and Andromeda Spaceways, as well as a dozen anthologies published world wide including ‘best of’ collections. He is the co-author of the spy science fiction novel The Spiraling Worm with John Sunseri and editor of the horror anthology Cthulhu’s Dark Cults, both published in the United States. David has been a multiple nominee for the Aurealis, Australian Shadows and Ditmar Awards. He won the Australian Horror Writers Association’s Flash Fiction Award in 2007 and was shortlisted for the Aeon Award in the same year for his African distopia novella “Black Water“. He joined Albedo One in 2007 as a regular reviewer and contributing editor from issue 33 onwards, before climbing to the lofty heights of Art & General Editor between 2014 and 2017, before stepping back to dedicate more time to writing. One day he hopes to finish his space opera novel, and then find a publisher. See his website at www.david-conyers.com. Konstantine Paradis is a full-time editor and a writer by choice. His work has appeared in a number of websites and magazines, with stories published in German, Romanian, Portuguese, Japanese, Dutch and English. His work has been nominated with the Pushcart Prize. George Anderson is a Contributing Editor with Albedo One. 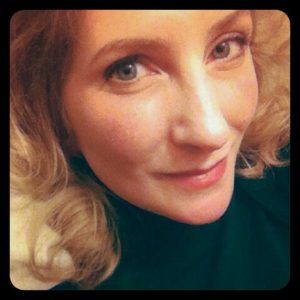 Christine Scott is Albedo One’s web design expert and is also the creative force behind Clever Crow Consulting and Design. Roelof Goudriaan is a Consulting Editor with Albedo One. He also runs Verschijnsel (www.verschijnsel.com), a small publisher which specialises in fantastic literature by Lowland authors (ca. 50 titles to date, most in the Dutch language). 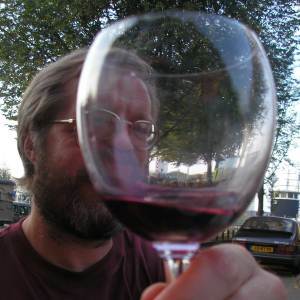 Back in another millennium, he has been the editor of the European SF newsletter Shards Of Babel, andmore recently he has closed off a four-year period as the editor-in-chief of the critical magazine Holland SF. He’s currently living close to the amazing city of Brussels. David Murphy is a Consulting Editor with Albedo One, since 2014. His novella “Arkon Chronicles” was published in the USA in 2003. A novel Longevity City was published by Five Star in 2005 and well received. His most recent novella “Bird of Prey” is due for publication later this year. He has had over ninety short stories published and translated worldwide, including the 2004 collection Lost Notes (Aeon Press, Dublin), the title story winning the Maurice Walsh Award in 1995. His stories have been short-listed for the Molly Keane and Aisling Gheal awards, and just recently an option was taken on one of his stories for adaptation into a film, so he is currently in the process of hiring a tux for Oscar night. He has given readings and talks (on the history of ‘imaginative’ fiction in the Irish tradition) at bookshops, writers’ centres, arts festivals and other events, including the Frank O’Connor Festival in Cork, Eurocon in Copenhagen, Worldcon in Montreal and the Chapters Lunchtime Series in Dublin, and has been an editor ofAlbedo One since the evening of its immaculate conception. Follow the link to view David’s webpage and blog. John Kenny is a Consulting Editor with Albedo One, since 2014, having previously been a co-editor since its inception in 1993 and a fan of science fiction since the late 70’s. 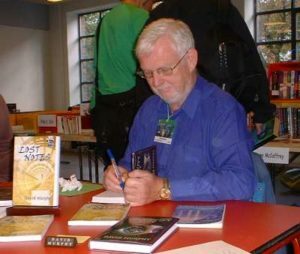 Before his involvement with Albedo One, he wrote extensively for Stargate, the magazine of the Irish Science Fiction Association, and was editor of FTL, the successor to Stargate. 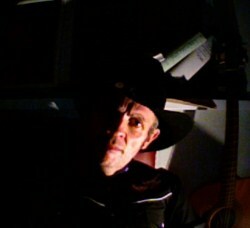 Apart from being involved in producing several books published by Aeon Press, he is also a writer of short fiction and has been published in First Contact, Woman’s Way, Emerald Eye: Best Irish Imaginative Fiction and other venues. He is co-organiser of theInternational Aeon Award Short Fiction Contest, now in its 6th incarnation, and has been Managing Director of writing4all.ie. See John Kenny’s website. Mike O’Driscoll was a Contributing Editor with Albedo One up to 2014. Mike is a fantasist who never outgrew his cowboy fixation. Having failed to make the progression from video store owner to Hollywood director, he turned his mind to horror and science fiction. His stories have appeared in Black Static and its predecessor The 3rd Alternative, as well as in Interzone, Fantasy & Science Fiction,Crime Wave and Albedo One, and a whole bunch of long since deceased small press publications, may they rest in peace. He’s also had stories in numerous anthologies including Inferno, The Dark, Lethal Kisses, Off Limits (all ed. by Ellen Datlow),Gathering the Bones (ed. by Ramsey Campbell & Dennis Etchison), Darklands andNeonlit (both ed. by Nicholas Royle), Years’ Best Fantasy & Horror #17, and two volumes of Stephen Jones’ Mammoth Book of Best New Horror. He has also written essays on David Cronenberg and David Lynch for The 3rd Alternative, and his comment column on horror, Night’s Plutonian Shore, appears in Black Static. The nearest he ever made it to Hollywood is when Brad Anderson adapted and filmed his story ‘Sounds Like’ as part of the Masters of Horror series. 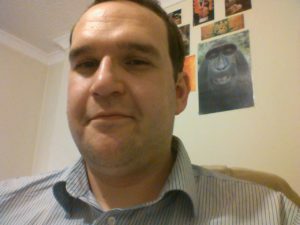 Peter Loftus was a Co-Editor with Albedo One up to 2014. 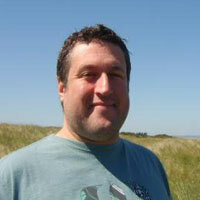 Peter is a writer, editor, comic creator and reviewer who lives by the sea with his wife, comic creator Hilary Lawler. 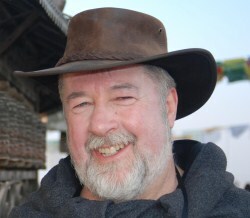 His short stories have appeared in theBSFA‘s Focus Magazine, Visionary Tongue, Midnight Street, Alienskin, Byzarium,Reflection’s Edge, Everyday Fiction and Monomyth, among others, and have been longlisted for both the Fish and Aeon Award short fiction competitions. 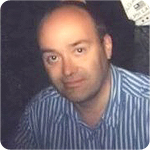 He has published numerous factual and historical articles in Ireland’s Eye, Ireland’s Own,ETP and Issues magazine. He is a regular reviewer for Interzone (UK) and Imhotep(Nor), both of whom let him loose to do the occasional interview. He has been producing independent comics for the last few years, which for the most part involves giving scripts to artists and never seeing them again.